Welcome to Ediacaran.org! This website is dedicated to bringing the fascinating rocks and fossils of the Ediacaran Period, which spanned 635 to 541 million years ago, to the attention of the wider world. Throughout Earth history many evolutionary, geological and climatic events have shaped the planet on which we live. Of these, the events of the Ediacaran Period were unprecedented. 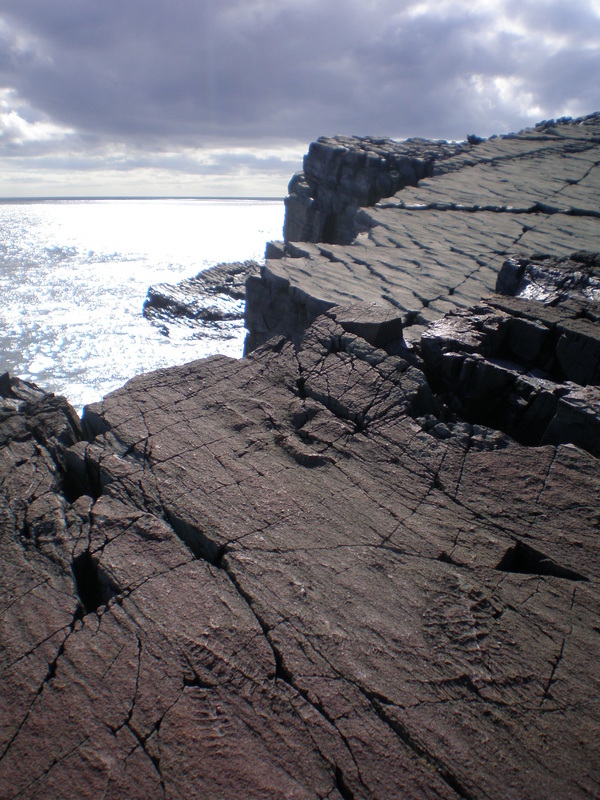 The Ediacaran contains evidence for sweeping changes to the chemistry of the oceans (including the rise of atmospheric oxygen to roughly modern levels, making the planet habitable for creatures like ourselves); large climatic shifts from icehouse to greenhouse conditions; the break-up of a supercontinent; and the evolution of the earliest recognisable animals and other complex organisms. The Ediacaran is unquestionably one of the most remarkable intervals in the history of life on Earth! Here you can discover more about what makes this Period so interesting, and find out about the research being undertaken by scientists around the world to further our knowledge of the interplay between life and our planet in the past. Click on the tabs at the top of the page to explore more! Fossils at Mistaken Point Ecological Reserve World Heritage Site, Newfoundland, Canada, recording the organisms living on an ancient seafloor ~565 million years ago. Discover more about the dramatic events that took place between 635 and 541 million years ago. Conditions on Earth were very different at this time, and changes in climate, ocean chemistry, and genetics have all been suggested as possible triggers for the evolution and radiation of early animals. Ediacaran ecosystems contained a diverse array of organisms, including algae, bacterial colonies, and some of the earliest known animals. Find out about them here, with information on the beautiful fossils and the various suggestions that have been proposed for what they might have been. Our intention is that this site will provide a clear, up-to-date summary of fossils and geological events from the Ediacaran interval, illustrated with high-quality images of fossil specimens, and informed by balanced discussion of the scientific controversies surrounding Ediacaran taxa. We have launched the site with a sub-set of fossils from Newfoundland and Australia, but we intend to regularly update the site to add taxa and other global localities, and would welcome contributions and images from any active researchers in this field - let us know if you would like to join us!